Already own a home in the Iberville subdivision? Thinking of selling? Click here and read about current search trends & our web network. 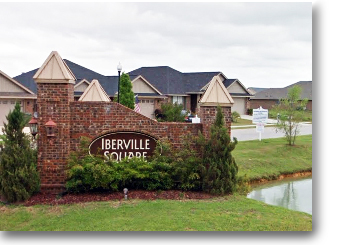 Iberville Square is located near the heart of Foley near outlet mall, restaurants, and grocery stores. Prices for these homes range from the mid to upper 100Ks making this community a great choice for first-time buyers and new families. Homes for sale in Foley AL are listed below and along with current listings are real estate images, property details, an interactive Google map and other useful info for homes for sale in Iberville Square subdivision in Foley Alabama. Please let us know if you would like additional info for Iberville Square or any other Foley homes for sale or condos. Our real estate team handles property sales from Spanish Fort, AL all the way to Perdido Key, FL and everywhere in between. Email info@condoinvestment.com with questions, to schedule appointments to view homes for sale in Iberville Square or any other subdivisions on and along the AL / FL Gulf Coast or call (251) Area-Pro (251-273-2776) for immediate assistance.